James Hill Architect provides architecture and interior services to the Bay Area and West Coast from its San Francisco location. Our work includes custom homes, additions and renovations, frequently providing modern living spaces within a historical building or sensitive urban or natural setting. The range of experience includes multi-unit and single-family residences, restaurants and cafes. Our clients respond to our common sense approach to complex issues, which allows them to engage effectively in the design process as a joyful exploration of the opportunties inherent in the project. Through an appreciation of comfort, context, and the client’s personality, the design solution grows naturally as the thoughtful expression of the individuality of our client and the specific character of the environment. Our established relations with suppliers and contractors provide the client realistic construction budgeting coordinated with the phased development of the design. The skill of our builders and their familiarity with our work creates a teamwork approach that recognizes the strength of their abilities as craftsmen and tradesmen for contributions and efficiencies. Our competence has proven consistently persuasive with planners, inspectors, neighbors and various appeals forums. The quality of our work has been recognized by numerous review boards and publications. Through our conscientious performance, we work to establish referrals and continued relationships, resulting in repeat clients and contractors for the majority of our projects. Raised in suburban LA, James Hill enjoyed its enthusiasm for casual living and the outdoors evident in the mid-century modern work of the local architects of the time. 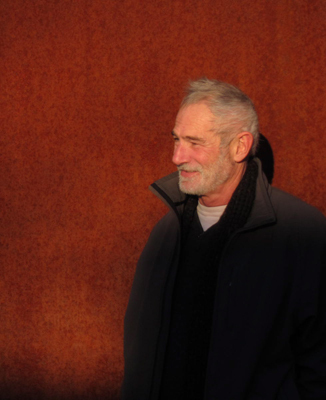 He also witnessed there a serious social need for structures that support, nurture and connect the human condition with its community and environment, both natural and constructed. Studies at UC Riverside included Urban Studies, Art and Literature. 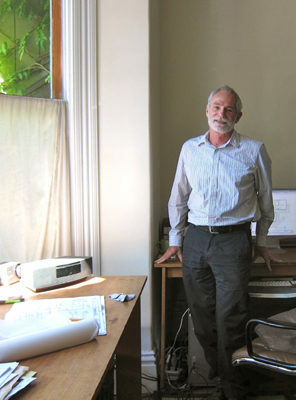 Transplanted to the urban environment of San Francisco in 1973, his experience in writing, design and construction led him to UC Berkeley, a Masters of Architecture in 1981 and a California Architectural license in 1985. Research includes studies of daylighting, new materials, and sustainability issues of energy efficiency and carbon use reduction. More personal research includes studies of light, color, landscapes, cities, and human complexity. The result is an outlook balancing the practical and poetic. Renan Delépine grew up in the forested region of the East Loire Valley where nature supports and complements century-old buildings but struggles to survive amidst recent constructions. Reflections on his local environment fostered his appreciation and sensitivity to local ecologies and local identities and the balance between the natural and built environment. 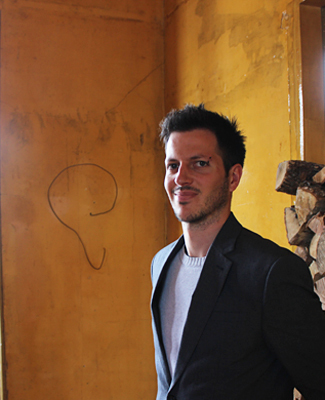 In 2012 Renan received a Master’s degree from the Clermont-Ferrand’s National Superior School of Architecture with a specialty in Sustainable Design (Eco-conception des Territoires et des Espaces Habités) supporting his interest in environment-friendly projects. His experience includes Passive House design, city planning and on-site project management.Outside the office, Renan enjoys the creative hobbies of furniture design, graphic design, DIY, and 3D printing. As an avid soccer and team handball player, he’s learned the value of pushing oneself to the limit toward common goals, and group achievements. Renan is an explorer at heart, striving to discover and learn as much as possible about the world through traveling and living in new places. THE FOLLOWING PEOPLE HAVE BEEN INSTRUMENTAL IN THE WORK OUR OFFICE HAS PRODUCED OVER THE YEARS. THEIR EFFORTS AND CONTRIBUTIONS ARE REFLECTED IN THE QUALITY OF THE WORK PRODUCED. WE HAVE BEEN HONORED TO TEAM WITH THE FOLLOWING CONTRACTORS AND THEIR CARPENTERS AND SUBS. THEIR IDEAS, CRAFT AND CONSCIENTIOUSNESS SHOW IN THE QUALITY OF THE PROJECTS PRODUCED AND THE HAPPINESS OF OUR CLIENTS.